Mittoni Proud To Present ADATA SU800 Ultimate SSDs! 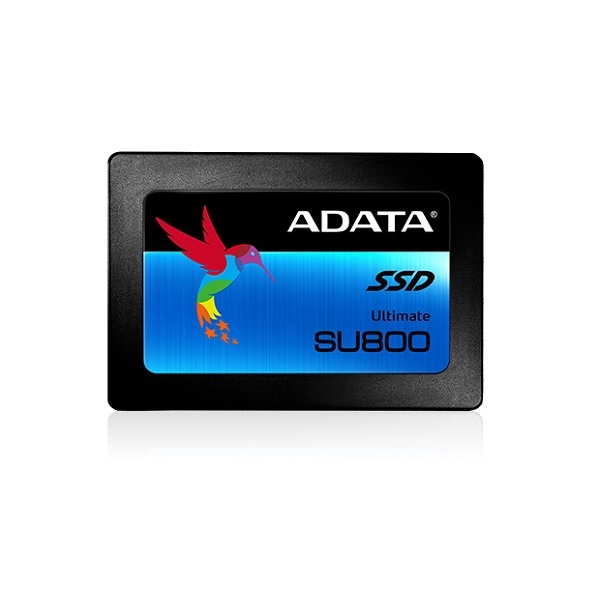 ADATA SU800 solid state drives live up to their Ultimate name with 3D NAND Flash providing higher storage density, efficiency and reliability than traditional 2D NAND. They feature intelligent SLC caching and a DRAM cache buffer to boost read & write performance even further. Featuring LDPC ECC and technologies such as high TBW (total bytes written) and DEVSLP (Device Sleep), the Ultimate SU800 instantly upgrades notebook and desktop PCs with superior stability, durability and power efficiency. In addition, users can download the ADATA in-house developed SSD Toolbox and Migration Utility software for free to enjoy easy data management. Would you like to know more? Check out our product information pages. "in the end, Asus boards still seem to stand out from the competition. This was especially true on the software side of things for me when testing the Strix Z270E. The BIOS feels fluid to navigate where the competition still seems to struggle with that and while AI Suite hasn’t really changed in over a year it is still really good and easier to use." ASUS STRIX Z270E GAMING motherboard review by LanOC - Introduction & Conclusion. "in the real-world testing it really shone. In fact, the performance during the file-copy tests was a pleasant surprise. A quick look at pricing shows this drive to be about $120 AUD on the street... The handy included software and three year warranty are the icing on the cake." ADATA Ultimate SU800 SSD review by OCAU - Full review. ASUS STRIX-GTX1060-O6G-GAMING Review On Vortez - Go Get One! "The STRIX GTX 1060 OC is the fastest 1060 weve had the pleasure of looking at. A significant factory overclock pushes up the frame rate in-game and the well-equipped DirectCU III cooler brings down the temperatures without compromising on noise. Go get one!" ASUS STRIX-GTX1060-O6G-GAMING review by Vortez - Introduction & Conclusion. "If I had to pick a mid-tower that oozes style, design and features right now I'd put the BitFenix Shogun highly on my short-list, that's the honest truth. Style wise it might not be for everybody, but I do tend to think that many people will agree with me, this one is a beauty. This kind of beauty comes at a price of 160 USD/euro. Honestly, for what you are receiving I feel this is money well spent. The magic is to be found in the see-through design with the tempered glass side panel, the all dark interior and that lovely lover compartment where you can hide your PSU. it is a mid-tower chassis that can hold 360 radiators as well. Design wise I have very little to complain, the chassis is easy to use and fairly maintenance free." Bitfenix Shogun super tower review by Guru3D - Introduction & Conclusion.